Upgrade of mid-2012 MBP to 16GB RAM actually work? 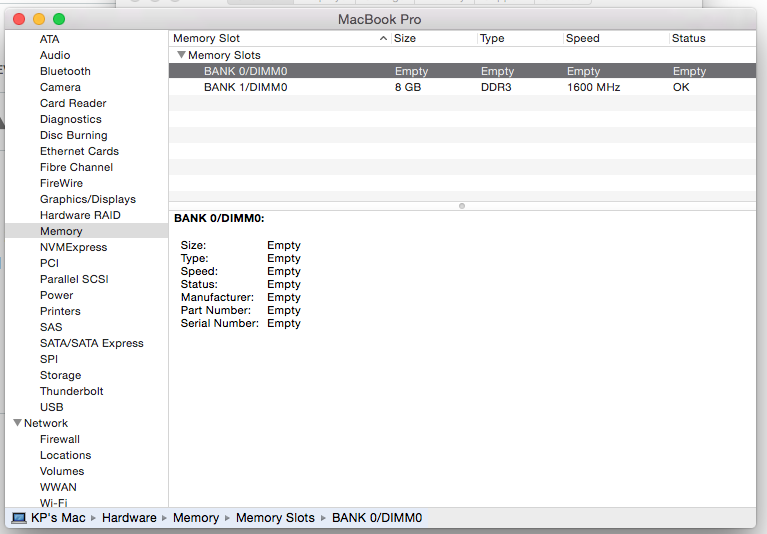 Re: Upgrade of mid-2012 MBP to 16GB RAM actually work? After a system scan on crucial I've bought the 16gb kit on amazon but on OSX 10.10.5 keeps crashing with both dimms. I ran several Rember cycles for each 8gb dimm on both slots with no issue, the lap works fine. But crashes in few minutes if 16gb are installed. Thinking the issue might be the dimm itself, I bought a second kit, this time from it.crucial.com. Same issues. I've contacted the italian IT, they've tried to help me as much as they could but the only solution they kindly offered me was a complete refund (once sent back the kit) and try to buy a Micron updat of the kit (the code 00XXX0 differs from usual .C16FPD in .M16FPD). Due to the time it would take and digging into the web I found out other users had a SMC 2.1f175 and Boot Rom ver MBP91.00D3.B0C (same SMC ver on Yosemite but the BR was MBP91.00D3.B0B) I tried first a down grade to OSX 10.9.5. Since I've just finished the downgrade I will update you if this solution works. Please let us know if you have any other questions or concerns. Any suggestion for my issue? But it's out of stock and I can't seem to find it anywhere. I can't really see a difference in specs from the two memories. Any help is appreciated. If you are still experiencing issues I would advise contacting us directly using the information in my signature. Thank you for contacting us. No, this RAM is not compatible with your system. The Macbook Pro 2012 model with the Retina display has memory soldered to the board and is not user upgradeable. i've recently purchased 2 x 8gb memory slots for my 2012 macbook pro based on what crucial said was compatible. I have just installed both yet it shows up that my memory is only 8gb and not 16gb. does this mean that i've installed it incorrectly? I have the same system, so was looking to order this upgrade on Amazon, however I don't see that part number listed (CT3327430).